Technology, technology, and more technology—this is what has driven the American oil and gas boom starting in the Bakken and now being played out in the Gulf of Mexico revival, and new advances are coming online constantly. It’s enough to rival the Saudis, if the Kingdom allows it to happen. Along with this boom come both promise and fear and a fast-paced regulatory environment that still needs to find the proper balance. Oilprice.com: How important are Bakken and Three Forks to US energy in the big picture? Chris Faulkner: The Bakken Shale has been the biggest driver in America’s reversal of decades of decline in oil production. It has transformed North Dakota into an economic powerhouse with the nation’s lowest unemployment rate and fastest-growing GDP—and an oil production level surpassing that of some OPEC nations. An added increment of almost 800,000 barrels per day of oil output, built in less than a decade, has helped the US reduce its dependency on oil imports from often hostile countries by 22% since peaking in the mid-2000s. US oil production is at its highest level since 1992, and in another 5 years, it is projected to reach its highest level since 1972. More importantly, the US oil production surge will help tamp down the possibility of chronically recurring oil supply shortages and help keep a lid on oil price spikes for the foreseeable future. Additionally, the Bakken surge is helping to narrow the spread between WTI and Brent, providing even more economic incentive to develop the costly unconventional resource plays. Oilprice.com: The US government recently more than doubled its estimates for Bakken and Three Forks to 7.4 billion barrels of undiscovered and technically recoverable oil and 6.7 trillion cubic feet of natural gas. How is the industry responding to this? How are investors responding? Chris Faulkner: Some operators had already been developing the Three Forks formation ahead of the USGS revised estimate for the Greater Bakken play. That drilling in fact provided much of the knowledge about the Three Forks that led to the USGS upgrade. We’re already seeing stepped-up drilling in the Three Forks, and some of that will entail dual horizontal laterals, a real milestone that could yield spectacular IP rates. Accordingly, Wall Street analysts are upgrading their guidance on companies such as Continental Resources that are leading the Bakken charge. Oilprice.com: What’s the next Bakken? Chris Faulkner: That’s a tough one. In a sense, we’ve already seen it with the Three Forks reappraisal. But it would be exceedingly difficult to replicate the Bakken, with its vast areal extent and thick pays. Progress is being made with a modest level of drilling in the Tuscaloosa Marine Shale of southern Louisiana and Smackover Brown Dense Shale in southern Arkansas/northern Louisiana, but results have been somewhat spotty to date. Perhaps the best prospective candidate is the Cline Shale in the Texas Permian Basin. This shale covers a vast area, has very thick pay zones, and there is established infrastructure. Some estimates have put its technically recoverable resources at 30 billion barrels of oil. But it’s very early days in that play. Devon Energy is moving aggressively there, and we should get some hints of its true potential before too long. Oilprice.com: How excited should investors be about the Monterrey Shale? Chris Faulkner: Some restraint is in order. While preliminary estimates put potential Monterey Shale technically recoverable resources at more than 15 billion barrels, it’s hardly a slam dunk. There has been a flurry of leasing and some drilling to date, but as of yet no operator has “cracked the code” for the Monterey. Even apart from the substantial technical challenges and complicated geology and petrophysics, a bigger hurdle would be the widespread and entrenched anti-oil development attitudes industry faces in California, which already has the most stringent regulatory regime in the nation. Furthermore, that anti-oil stance will just gain momentum with the anti-frac campaign that the environmental pressure groups are pushing now. Oilprice.com: The US government’s next auction of Gulf of Mexico acreage is expecting a bigger turnout than previous auctions. How is the bidding environment shaping up ahead of this sale? Chris Faulkner: Excellent. Even with the near tripling of minimum bid requirements in deepwater areas, I expect brisk bidding. Operators are fine-tuning their exploration strategies in the deepwater areas, and some recent significant discoveries, such as ConocoPhillips’s huge Shenandoah find, will only stoke that enthusiasm. I think we’re also seeing the beginnings of a revival in shallow Gulf waters, judging from the high number of bids there in the last sale. Expectations of a gas price rebound were underpinned by the latest approval of another LNG export terminal—both positive for shallow-water drilling. Oilprice.com: How important are Brazil’s pre-salt finds to a revival in the US Gulf of Mexico? Chris Faulkner: The Gulf revival is proceeding quite nicely as it is with the string of big discoveries in the Inbound Lower Tertiary. However, the knowledge and best practices being accumulated in the pre-salt play off Brazil probably benefits the pre-salt plays emerging off West Africa more so than in the US Gulf, where success has been concentrated more in the subsalt. In fact, the advances gained in probing the Gulf subsalt—particular in seismic technology—laid much of the groundwork for decoding Brazil’s pre-salt. I think you’ll see the Gulf operators focus more on the Lower Tertiary as the flavor of the day. Oilprice.com: How are drilling advancements contributing to a re-evaluation of old data and the collection of new data? Chris Faulkner: There’s no doubt that MWD and LWD [Measurements-while-Drilling/Logging-while-Drilling] have helped operators gain a better perspective on old well logs. As accumulation of drilling data in real time makes even more technical advances, progress will continue. This may be the biggest contributing factor for the dramatic reductions in spud-to-release times that we’ve seen in the major unconventional plays. Oilprice.com: What are the most recent major advancements in seismic imaging and data processing that are changing the way companies decide where to explore and where to drill next? Chris Faulkner: 3D seismic is firmly established as a valuable exploration tool, especially for delineating reservoirs that have already been identified, and there are intriguing new possibilities for 4D seismic (essentially 3D seismic phases over time), especially for enhanced oil recovery and carbon sequestration applications. But in terms of pure exploration, the linchpin technology has been reverse time migration, which really got the ball rolling for subsalt and pre-salt plays in the Gulf and off Brazil and West Africa. Then explorers started using pre-stack depth migration to ultimately arrive at a fully defined 3D salt geometry, which has fueled much of the success in the Gulf. Oilprice.com: What can we expect both from drilling technology and supercomputer data collection and processing over the next 5-10 years? Chris Faulkner: We’ll probably see a growing convergence of microseismic data gathering and processing in real time and real-time drilling data gathering to enhance mapping of natural fractures in tight reservoirs that may help drillers better steer the well so as to optimize subsequent placement of frac stages. Oilprice.com: Can the US really compete with Saudi Arabia in terms of production? Chris Faulkner: Sure, just as long as the Saudis will allow it. Don’t forget the Kingdom is still the world’s swing supplier, a role it’s held since the late 1970s. It’s important to remember that the Saudis not only have the largest proved reserves of oil, it’s also the largest repository—by far—of low-cost oil reserves. Much of Canada’s oil sands and US tight oil requires $75 per barrel or more to be economically viable. Saudi Arabia also needs $75 per barrel, but that’s to support its current domestic budget. The Kingdom’s lifting costs are somewhere around $5 at last report. So Saudi Arabia could easily flood the market, as it did in the early ‘80s, if it lost too much market share, dropping oil prices to $50 or less, and US drilling and production would collapse. Ideally, growing demand from China and other Asian markets will help sustain Saudi production levels and oil prices even as the Americas become self-sufficient in oil. Oilprice.com: Can we expect to see a gradual end to fossil fuel subsidies in the near or medium-term? Chris Faulkner: Depends on what you mean by subsidy. Anti-oil factions erroneously claim that the standard tax incentives that the US oil and gas industry shares with most other American businesses are subsidies. But while these incentives are the target of some heated rhetoric, there are enough red-state Democrats in Congress to prevent them from being stripped away, especially for the independent oil companies that rely most heavily on them. A more likely development in the US would be incremental attempts to impose a “back door” carbon tax by proxy–essentially the Obama administration resorting to regulatory overreach to add to the costs of fossil fuel development, production, and consumption. This kind of disincentive essentially creates a subsidy-in-reverse. 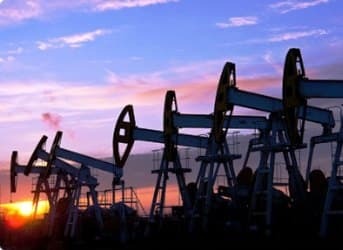 Oilprice.com: Who benefits most from these subsidies and how? Chris Faulkner: Again, if you mean standard industry tax breaks such as expensing of intangible drilling costs, expanded amortization for G&G costs, repealing the percentage depletion allowance benefit, pure-play E&P independents rely on them more heavily than integrated firms such as the majors or hybrid midstream/upstream firms. I’ve seen estimates that eliminating these incentives could slash as much as 15–20% of US drilling. But if you mean true subsidies such as those in Iran or Venezuela aimed at keeping gasoline and other fuel costs to consumers below their real costs, then the primary beneficiaries are the autocrats and dictators who might get ousted without them. Oilprice.com: Is natural gas a feasible bridge to the US’ renewable energy future, and will the Obama administration’s plan to fund clean energy projects with oil and gas revenues work? Chris Faulkner: Absolutely yes and absolutely no, respectively. The fact that US greenhouse emissions have fallen in recent years owing mainly to power plants switching from coal to low-cost natural gas illustrates the first point quite clearly. The fact that US LNG export projects are moving ahead underscores the point that there are abundant gas resources to support that bridge. As to the second point, one word: Solyndra. How do you think Americans will react to their energy bills spiking so that more of their tax dollars can be flung down that rat hole? How reticent do you think the Republicans will be about pointing that out? Oilprice.com: How important is Keystone XL to the US’ energy future? Chris Faulkner: Keystone XL is important for several reasons. First, blocking the project will alienate our most important energy trading partner, Canada. Some folks talk about US energy self-sufficiency, but for oil that is a much taller hurdle; however, North American oil self-sufficiency could be achieved in less than a decade. Who knows how Canada will react to such a snub and an apparent violation of NAFTA? Retaliatory measures in energy trade are not out of the realm of possibility. The irony is that Canadian oil sands syncrude, bitumen, and heavy oil will continue to move south irrespective of Keystone XL’s fate, so any purported environmental benefits from stopping the project are a wash. And Gulf Coast refiners are eager to replace declining supplies of heavy crude from Mexico and Venezuela (not to mention the reliability of the latter’s supplies) with low-gravity feedstock from a friendly North American supplier whose supply will only increase. Perhaps the most important impact of blocking Keystone XL is symbolic. If the administration caves to the environmental pressure lobby, it sends an unmistakable message to both sides; the result will be a perception of significantly heightened investment risk in the US oil sector and an emboldened opposition that will use the momentum of this “victory” (certainly a pyrrhic one for America) to step up opposition to oil and gas development everywhere in North America. Don’t forget: A hostile administration beset by a sluggish economy imposed the windfall profits tax that resulted in the migration of hundreds of billions of dollars of US oil and gas company E&P capex overseas; this was the single biggest factor in the US oil production decline of the past several decades. A regulatory stranglehold can have the same effect. Oilprice.com: What can we expect in the next 1-2 years in terms of advanced fracking technology that could help remove some of the opposition to the process? Chris Faulkner: The use of benign frac fluid constituents taken from food sources is certainly a significant advance and at least shows industry is trying to address the public’s concerns. Breitling's envirofrac program was founded in February 2010 to evaluate the types of additives typically used in the process of hydraulic fracturing to determine their environmental friendliness. After evaluations are completed, EnviroFrac™ calls for the elimination of any additive not critical to the successful completion of the well and determines if greener alternatives are available for all essential additives. EnviroFrac™ is a decisive move toward an even greener fluid system. By reviewing all of the ingredients used in each frac, the program identifies chemicals that can be removed and tests alternatives for remaining additives. To date, the company has eliminated 25% of the additives used in frac fluids in most of its shale plays. But the truth of the matter is that the science and data have always been on industry’s side in this debate. So technology is less of a consideration in removing opposition than are efforts to educate the public about the science and data. Oilprice.com: How important is technology versus acreage to a company’s success? How does this balance work out for Breitling? Chris Faulkner: Given our size, Breitling’s focus on technology actually provides leverage for our investors against the huge scale of effort and capex that larger companies employ in amassing vast leaseholds in today’s resource plays. We rely on advanced exploration technology to help us find prospects others might have overlooked and help us be more selective in high-grading the best opportunities. For example, 3D seismic surveys—and earlier 3D surveys in particular—often contain information that is beyond visual resolution and thus escapes the interpreter. Signal processing on the workstation using what might be termed “geologically based seismic deconvolution” has the potential to enhance the resolution to the point that this hidden information can be made visible and incorporated into the interpretation. Breitling’s patent-pending Geo3D Seismic Filtering technology takes existing 3D seismic data and enhances it so that it is noise-free with a broad enough “zero phase” spectrum to represent fractional match points that could lead to oil and gas discovery. Within the limitations of the seismic data we can use this synthetic data to optimize our 3D data set and locate oil and gas reservoirs that were missing in previous low resolution interpretation. Oilprice.com: There have been a number of hints by the Obama administration that the US could become a net gas exporter, with potential exporters eyeing lucrative Asian markets. What will this mean for gas prices at home? What will it mean for the US economy? Chris Faulkner: I think this has gone beyond the “hints” stage with the administration recently approving a second LNG export terminal, although I expect more of that LNG will go to Europe than to Asian markets. The US would experience a net economic benefit occurring with unrestrained exports. Certainly US gas prices would increase but not nearly as much as EIA’s earlier study concluded, because global competition among established LNG suppliers would put a cap on US LNG exports at a certain price point. The US trade balance will improve. All energy-intensive industries combined would see a loss of jobs or output no greater than 1% in any year. If anything, putting a cap on LNG export volumes would probably push gas prices higher because it lessens that competition emerging in an increasingly global LNG trade. Oilprice.com: Chris, thanks for taking the time to speak with us. The American Oil Boom a very good thing for OPEC, what is earning 5 times more money than in the 90s. The American Oil Boom is helping inflation adjusted US oil prices to stay at least 4 times more expensive than in the 90s. Outside the Middle East, new drillings are arround 10 times more expensive than drillings in the Middle East. Christopher Helman, Forbes Staff : "Despite the enormous growth in the U.S., the costs of getting that oil out are growing at unprecedented rates. Bernstein figures that the cost of producing the last barrel rose from $89 in 2011 to $114 in 2012." The most expensive oil fields essentially set the floor of oil prices, worldwide. Including in the Middle East. Now, OPEC is earning 5 times more money than in the 90s. And OPEC is likely to earn $1 trillion in 2013 (as in 2010 and 2011) versus $200 billion per year between 1985 and 2002 (Today's Dollars). How does Mr Faulkner's description of Saudi as a 'perpetual' swing state compare with Matthew Simmons description of fundamentally flawed and degrading Saudi production in 'Twilight in the Desert'? How does increased Bakken production narrow the spread between WTI and Brent? It seems it does rather the reverse. I understand that SA's lifting price is $5 a barrel, but fail to see how this is relevant to actual production capacity. Are you saying that Saudi Arabia has sufficient wells and distribution assets in play today to significantly raise production rates to "flood" the world market? Could you provide the sources from which you assessed SA's production capacity? I'm sorry, could you please explain why Breitling is "a key player in Bakken with a penchant for leading the new technology charge". They've purchased non-operating-interest in a few wells in the area, which they market and sell to investors. That's it. They don't operate anything, and are hardly a "key player". The credentials are misleading, to say the least.